Here's what we knew. In February, Ray Rice and his then-fiancée Janay Palmer walked into an elevator at the Revel Casino in Atlantic City, New Jersey. The doors shut. Something happened. The doors opened and Rice dragged his unconscious fiancée's body out of the elevator. In the sports world and in the feminist world, this was the ultimate Elevatorgate. For seven months Rice got away with it, and we all let it happen. Earlier this year, Rice was suspended for two games by the NFL, a less severe punishment than other players have been handed for smoking weed. Twitter freaked out. Feminists freaked out. Women, rightfully, freaked out. Actually, anyone with half a brain freaked out. But then came the deafening silence as football season geared back up, fantasy football enthusiasts secured Rice for their bench in anticipation of week three, Rice stumbled through a public apology with Palmer at his side, and Ravens fans even came to his defense. It was easier to just put this abuse behind us as football fans, accept his lenient punishment, and move on. He is an all-star running back, after all. But now we know better. There is no mistaking from the footage what Palmer suffered at the hands of her now husband Ray Rice. The same hands that have made Rice a superstar in the NFL and apparently, like many before him, above the law. The video shows Rice winding up and decking his fiancée. If that wasn't enough, Palmer's head then bounces off the handrail inside the elevator as she drops to the ground. There's now a debate over whether or not the NFL had seen this video before punishing Rice. The league told CNN that no one in the NFL had seen this newly released footage before Monday, including Roger Goodell. 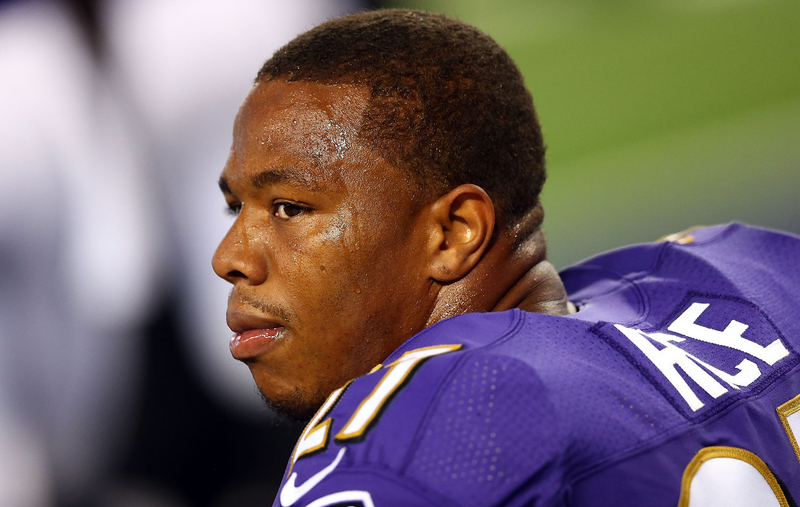 These reports of the Ray Rice elevator video will tell you otherwise. Football fans and Roger Goodell alike let Ray Rice get away with this, but enough is enough. I'm sick of having to shelve my morals to be a football fan. I'm sick of sitting at a fantasy draft and debating whether Ray Rice's fantasy value outweighs the fact that he knocked a woman unconscious and got away with it. And worse yet, I'm sick of watching a pro-athlete who has clearly committed a crime walk away after charges against him were dropped. We were all part of the problem. As a football fan, and even as a woman, I tried to make sense of the situation. I actually had a conversation less than 48 hours before this new video was released where I argued that, perhaps, NFL Commissioner Roger Goodell knew more to the story. That he had to have seen the footage from inside the elevator and it told a different story. After punishing him for just two games, there had to be a reason. That reason clearly was not that Rice was innocent. In the back of every football fan's head and heart, we knew since February that this video would eventually surface. But we let Ray Rice get away with domestic abuse until it did. And that might be the biggest abuse of them all.